Most commonly experienced by middle aged women whose feet have a tendency to over-pronate or roll in, a plantar plate tear is often a cause of persistent pain and swelling in the ball of the foot. It is also commonly associated with a bunion and a hammer toe. 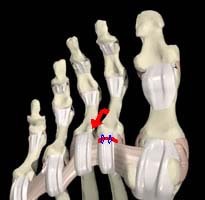 The plantar plate is a thick ligament type structure with attachments which inserts into the base of our phalanges (toe bones) in the area of the ball of the foot. The plantar plate is designed to protect the head of the metatarsal from pressure and prevent over extension of our toes. It also plays a role in preventing our toes from spreading or splaying. Persistant pain and swelling under the ball of the foot and extending towards the toes (most commonly the 2nd). Some swelling may be visable on the top of the foot along with redness. Often a sensation of ‘walking on the bones for the foot’ will be described, and there is a positive Lachman’s test. Often a tear will result in the toes splaying (daylight sign) and clawing. Initial treatment of the tear will focus on symptom relief. 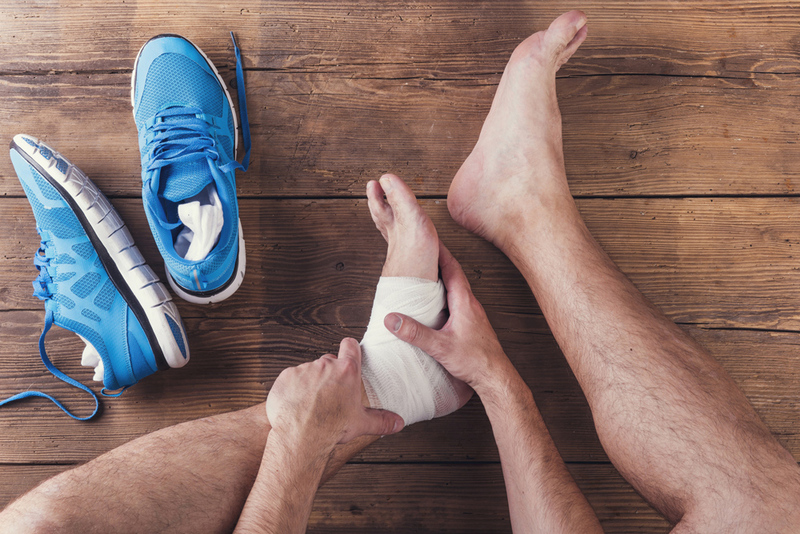 This may involve the use of anti-inflammatory medications, strapping of the toe, off-loading padding, altered footwear and activity modification. Following this treatment will focus on the underlying causes of the problem, such as flat feet, bunions and hammer toes. 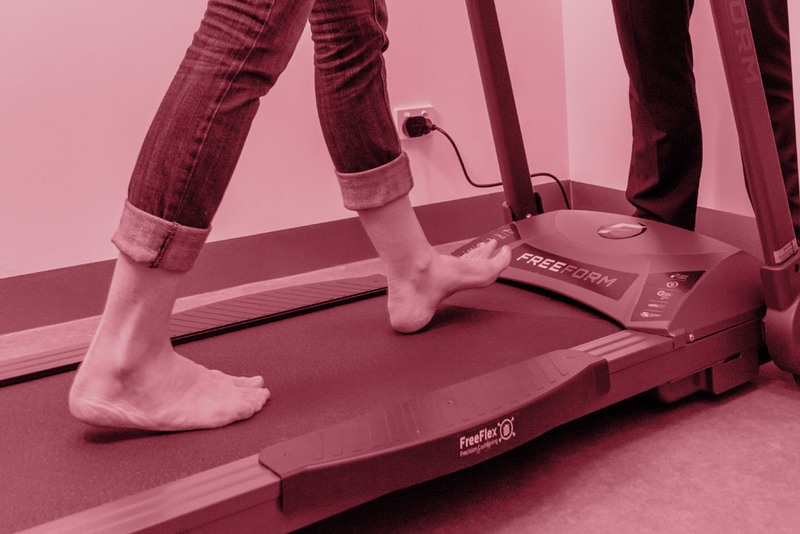 Your podiatrist will perform a thorough biomechanical assessment to determine the best course of action to offload the forefoot and decrease the mechanical stress on the area. This injury usually occurs gradually and is best treated in the early stages. Often a customised soft full length orthotic and footwear modifications can prevent the problem from progressing. Occasionally surgery needs to be performed, either frank repair of the plantar plate or in chronic cases a resection osteotomy may be suggested. Treatment for this acute condition can take time, with most patients pain free with 3-4 months. Initial symptoms improvement allows most people to return to activity within 1 month. Our podiatrists are experts in treating Plantar Plate Tears, book in now for an appointment. We use this advanced form of motion analysis to assists us in diagnosing complex motion related pathology of the foot, ankle, knee hip and lower back. Extracorporeal Shockwave Therapy (ECSWT) is a non-invasive solution for chronic musculoskeletal pain. Applications are mostly associated with the treatment of chronic muscular and tendon disorders, back, lower limb and foot pain. Plantar Fasciitis, also known as heel pain or a heel spur, is a musculoskeletal condition causing pain under the heel or into the inner arch of the foot.